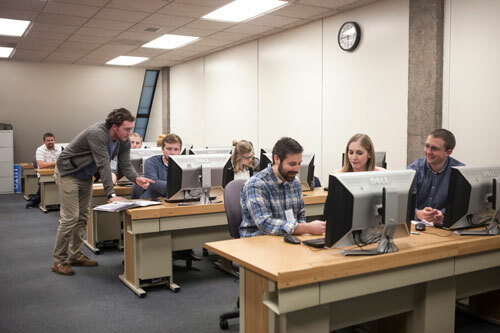 Each year, students enrolled in the School of Business accounting department complete between 600-800 tax returns for community members. Assisting local taxpayers in obtaining over a million in total federal tax refunds, VITA also provides a return for students. Preparing taxes gives students practical experience that complements their classroom education and builds resumes. Brant Parker from Paige, Ariz., currently enrolled in the Master of Accountancy Program, is serving as site coordinator for SUU’s VITA lab this year. VITA assistance is available on a first-come, first-served basis until Wednesday, April 12. Walk-in hours are available Monday through Wednesday from 5:30-8 p.m. at the Dixie Leavitt Business Building, room 207. Email suuvitatax@gmail.com with questions.